The 34th Annual Green River Cleanup is right around the corner!!! Save the date for Saturday May 4th, 2019! cleaning. We found some huge trash areas and have local neighbor’s helping out as well! Registration goes from 9:30-11 AM at the Headworks, and Kanasket-Palmer State Park from 9am- 11:30AM. Help us clean up the Green River and keep it one of the most beautiful rivers you can raft. Cleanup members will enjoy free camping at Kanasket-Palmer Campground, Friday and Saturday nights. Note the Group camp is open to all volunteers! We have overflow spots available, but not until the group camp is full. UPDATE: Volunteers helping to setup the Green Clean event can at the group camp Thursday night. We have sites 1-14 as well for large vehicles and LIMITED RVs. Please RSVP if you have an RV. Several groups are sharing sites 1-14 as well. There will be a DUTCH OVEN DESSERT COOKOFF, this year just like years past. IT will be held at 8:30pm at the Kanasket Palmer group camp. Show off your D.O. skills and impress your friends. Winner gets a prize which has been over a $50 value in the past!!! Make sure to check out the Wrrr.org forums, the green river cleanup facebook page, or http://www.greenrivercleanup.org for more information and status updates. Please join us for the 33rd Annual Green River Cleanup! May 5th, 2018!!!! Posted by Green River Cleanup. Comments Off on Please join us for the 33rd Annual Green River Cleanup! May 5th, 2018!!!! The 33rd Annual Green River Cleanup is right around the corner!!! Save the date for Saturday May 5th, 2018! Join WRRR at the 33rd Annual Green River Cleanup on May 5th!!! Every year lots of outdoor enthusiast enjoy the day recreating along the river, and cleaning up trash at the same time. As always, there will be lots to do for boaters and non boaters. River stretches are rated class 2-4. The last 2 years proved that we will boat no matter the flow! Hiking and ground crew sections are available from flat trail to adventurous river corridor cleaning. We found some huge trash areas and have local neighbor’s helping out as well! Cleanup members will enjoy free camping at Kanasket-Palmer Campground, Friday and Saturday nights. Note the Group camp is open to all volunteers! We have overflow spots available, but not until the group camp is full. UPDATE: Volunteers helping to setup the Green Clean event may stay at the group camp Thursday night. 2018 – Join us May 5th for the 33rd Annual Green River Cleanup!!! Posted by Green River Cleanup. 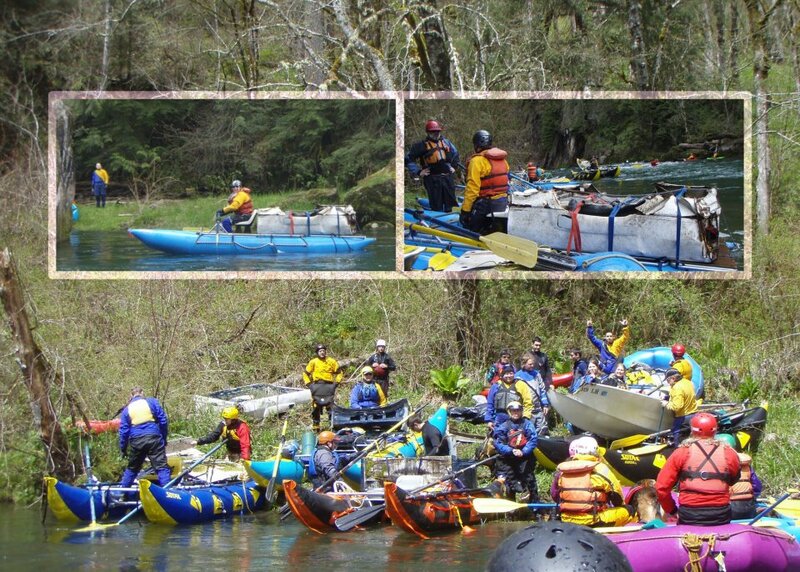 Comments Off on 2018 – Join us May 5th for the 33rd Annual Green River Cleanup!!! The 33rd Annual Green River Cleanup will be arriving soon!!! Save the date for Saturday May 5th, 2018! Camping for cleanup volunteers will be at the Kanasket Palmer Group Camp. We have overflow sites once we fill that up. Discover passes will be waived this weekend for volunteers. Can’t wait to see you all this year!!!! So there will NOT be a large WRRR shindig at Flaming Geyser. Instead it will be at the group camp at Kanasket Palmer. So plan on an efficient shuttle from FG back to KP for all the fun. There will still be the DO dessert cook off competition saturday evening at 830 sharp at the KP group camp. See you all there!!! If you can help with logistics this year please let us know! We are so thankful for all the time and effort you all put into these events!!!! See ya soon! cleaning. We found some buge trash areas and have local neighbor’s helping out as well! one of the most beautiful rivers you can raft. Group camp Friday and Saturday nights. -Brew Coffee in the AM! Save the date for this great PNW tradition. 2016’s 31st Green River Cleanup is just around the corner!!! APRIL 30, 2016! Posted by Green River Cleanup. Comments Off on 2016’s 31st Green River Cleanup is just around the corner!!! APRIL 30, 2016! Posted by Green River Cleanup. Comments Off on Thanks Everybody!!! Thankyou everyone for coming out to the 2015 GRCU! Despite the low water flows, we still had a good turnout and got lots of trash. Final stats will be coming shortly. Join us April 30th, 2016!!! Posted by admin. Comments Off on Join us April 30th, 2016!!! Please mark your calendars for the 31st annual Green River Cleanup on April 30th, 2016. Thanks for being on the Green River Cleanup Team!! !